Zinfandel, and specifically Dry Creek Valley Zinfandel, is really where my journey with red wine began. If you’ve been a long time reader of the wine blog, I’m sure you’ve read where I’ve written about going to Sonoma for the first time on my honeymoon 5 years ago and how I fell in love with Zinfandel on the trip. I’d previously really been a “white wine only please” person, so it really was a turning point for me in my love of wine. These days I don’t drink nearly as much Zinfandel as I used to, but I do like to go back and revisit those wines that helped me fall head of heels for red wine. 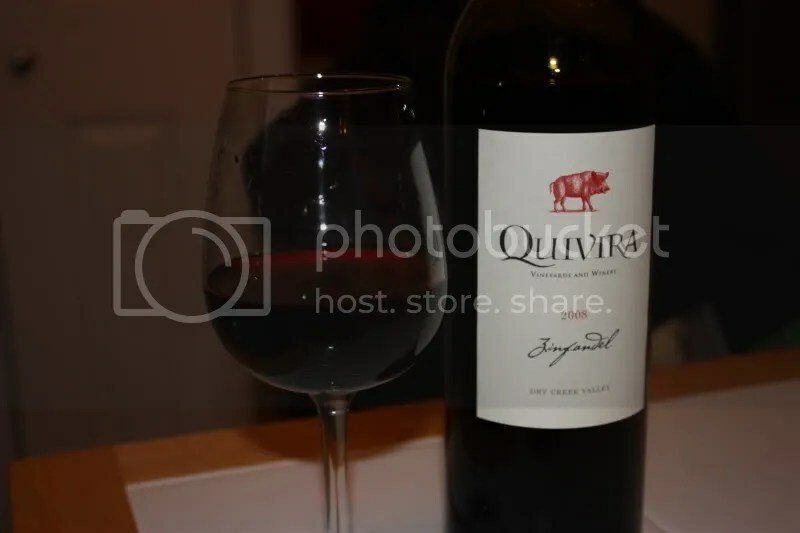 Tonight we tried the 2008 Quivira Dry Creek Valley Zinfandel. It clocked in at 14.8% alcohol, had a real cork closure, and retails for $20. On the nose I got blackberry, spice, oak, herbs, baking spice, licorice, black cherry, and a caramel note. In the mouth I found tart, tart blackberry, the kind that make you pucker your lips a bit, black fruit, spice, chocolate, and juicy black cherry. The palate showed mostly juicy black fruit for me with plenty of tannins and acidity. At $20, this is a steal for a great Dry Creek Valley Zin. 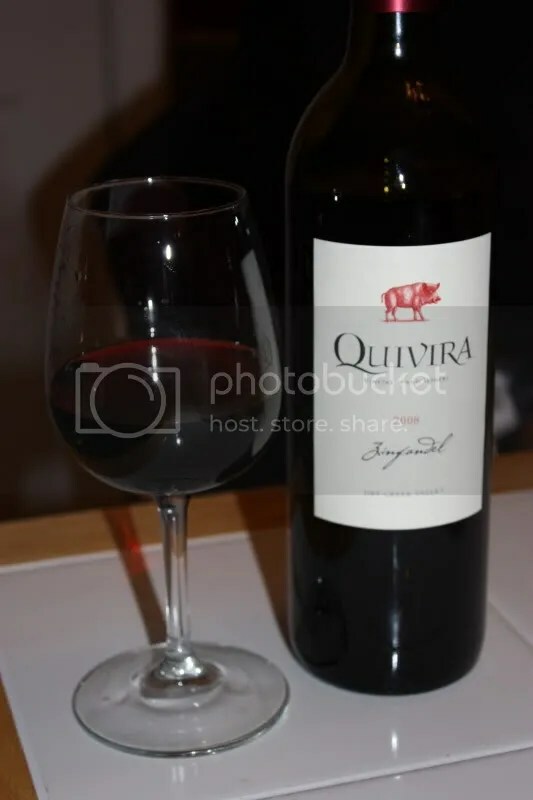 I never really tasted a wine I loved until I tasted Zinfandel. I know it’s true because, back then, I didn’t know enough about wine to have any pre-conceived biases. Now, I think I’m probably the biggest Zin fan there is!